Michael Lorenzen is an incredible athlete. We’ve all seen it in action both on and off of the field. On the field he’s a quality pitcher. At the plate he’s been far-and-away the best hitting pitcher in baseball. Off of the field, well, who can forget the workout video he posted four years ago? Last season saw Michael Lorenzen do a little bit of everything for the Cincinnati Reds. He pitched out of the bullpen. He made three starts. His ERA was 3.11 on the season in his 81.0 innings. He his an absurd .290/.333/.710 with four home runs and a double in 34 plate appearances. At times he hit for himself, but he also was used a few times as a pinch hitter. 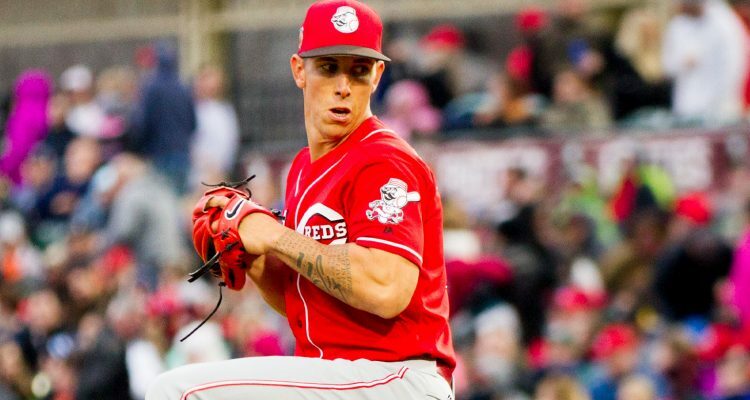 While there’s been talk for each of the last three years that Michael Lorenzen would potentially return to the starting rotation, it hasn’t really happened. And with the Cincinnati Reds going out and acquiring three new starting pitchers this offseason, it once again seems unlikely that it’s going to happen this year – at least to begin the season. But something happened last year in baseball. Shohei Ohtani went out to Los Angeles and both started and was used as a designated hitter. And he was quite successful in both roles – at least while his elbow was healthy enough to pitch. The Cincinnati Reds don’t get to use the designated hitter too often, so they can’t exactly use Michael Lorenzen in that kind of role. Not utilizing his ability to hit, though, would seem like a bit of a waste. And it seems that the Reds understand that a little bit and have talked about ways to get him more time at the plate. Lorenzen seems to believe that he’s going to be used at times in the outfield this year. The outfield is rather crowded as it is right now. The team is going to have to mix-and-match guys without accounting for Michael Lorenzen. Matt Kemp, Yasiel Puig, and possibly Nick Senzel will join Jesse Winker, Scott Schebler, and perhaps Phillip Ervin on the roster as outfielders. That also doesn’t account for Connor Joe, who may make the team as a Rule 5 draft pick and has some outfield experience, too. The Reds and the Angels aren’t the only team that has ideas of trying to utilize a special player on the mound and at the plate. Two years ago the Tampa Bay Rays drafted Brendan McKay. The left-handed pitcher was also able to hit the cover off of the ball while in college. That led the Rays to the idea that he could be used both on the mound and at the plate. He was used on the mound, but also as a first baseman. They’ve announced that they have ended that plan earlier today. It’s not that they are taking away using McKay at the plate, but they are taking him off of the field defensively. He’s only going to be used as a designated hitter and pitcher moving forward. At least in the short term. The article linked above notes that the Rays changed the defensive alignment for relay throws from the outfield when he was playing first base so he didn’t have to “make stressful throws” while in the field. What’s interesting is that Tampa Bay has more than one two-way player. Tanner Dodson is actually the player that fits the Michael Lorenzen role a little more closely. He’s a center fielder and a reliever. And the Rays plan to keep him in the field. Last year was his first in the minors. He played in 58 games as an outfielder/designated hitter. He only pitched in nine games, though he threw 25.0 innings. The Rays worked with Brendan McKay closely to monitor his workload last season. Obviously they wanted to minimize the risk of injury. We saw that with how they changed up their defense when he was in the field. But it was also just keeping him from being overworked. Particularly as a pitcher, that could lead to injury due to poor mechanics due to fatigue. It’s easier to do this in the minor leagues. Rightly or wrongly, those games simply don’t matter from a win/loss perspective. Those games are for the development of the players, not for winning the Midwest League Championship. While it would be great to be able to both develop and win, development is always going to come first. At the Major League level, wins matter. And they matter a lot. While a team is never going to purposefully risk injury to a player at any level, it’s far easier to give a guy a few extra days off if they need it in the minor leagues than it is in the Major Leagues. The Reds don’t have the ability to treat Michael Lorenzen like the Rays are able to treat Brendan McKay. Or Tanner Dodson for that matter. First, both of those guys can be used at the plate as a designated hitter both in the minors and majors. But they also need to be able to have him available to pitch five or six nights a week (while he won’t pitch that often, he should be available to pitch that many times in a given week). All of this leaves open the question of just how can the team truly utilize Michael Lorenzen to his fullest abilities. Being a National League team they are severely limited versus how other teams are able to use players that have the ability to both hit and pitch. At least in 2019, how the outfield stacks up, it’s pretty tough to justify giving him a start out there even once a week. The team could use him as a potential late-inning replacement in the field. But that makes you wonder: Do the Reds really want him to be out there trying to make a throw from the warning track? Is that worth the injury risk to a part of your bullpen in exchange for a single at-bat? I’d guess that the answer to that question is a resounding “no”. Using him purely as a pinch hitter could certainly work. But on a given day, you’re going to have at least one of Matt Kemp, Jesse Winker, Scott Schebler, or possibly even Nick Senzel on the bench that could also be used as a pinch hitter. Michael Lorenzen can hit as a pitcher. But it’s tough to argue that he’s a better option to than one of those guys in most scenarios to come off of the bench and hit. And in order to do that, he’s either going to also have to be ready to pitch the next inning, or be unavailable to pitch that day. All of this leaves the Cincinnati Reds with a big dilemma. How exactly can they use Michael Lorenzen as both a hitter and as a pitcher? It’s tough to see a way for him to get any sort of real time at the plate. Being in the National League limits how much the team can really use him. The creativity is going to be tough to work with given the roster, and the fact that he’s a reliever. If he were a starter, he’d have days off where he’s not going to be expected to pitch. As a reliever, those days are few and far between. Here is another 2-way attempt to add to the list…..
Matt Davidson, with White Sox last year, trying it in minor-league deal with Rangers. He is in his age 27 season and has yet to show consistent above-average performance as a pitcher. What is he anyway….. starter? Hader-type? closer? If there is a “dilemma” here…it’s that a great athlete may only be “meh” as a pitcher. Unless the plan is to convert him to a full-time outfielder (feels doubtful)…. tell him to have a great Spring as a pitcher. This team needs every whiff it can get. If the rosters are staying at 25, he will likely get some at-bats in spots, like last season. 1.) multi-inning reliever who hits for himself. If/ when a starter hits the dreaded 3rd time thru the order wall, Lorenzen can slam the door and pitch 2 innings and hit for himself. 2.) Early Pinch hitter- even if he’s not slated to pitch that day, perfect early PH to get some runs back if the starter is in a hole. 3. Extra innings versatility. For those rare 11-12 inning+ games, he could play the OF and hit if guys got burned in the 8th/ 10th inning. It’s not that the roles mentioned there are bad…. feels like a lot of shoe-horning for a guy with a wRC+ of 101 in 92 career plate appearances. Lot of reacting to a small sample size of hitting last season. It will be interesting to see what the new pitching coach does with him. Chris Welsh at one point made the comment he’s throwing too many pitches. He also seemed to be changing mechanics mid season in 2017. Johnson is about focusing on what you do well more. Perhaps he can narrow his repertoire down and make him a really good multi-inning inning reliever focused on 2 pitches to command. Having an extra…… average hitter with power to PH is a good thing. Should be a fun spring training with all the changes. Good points, Old-School. He may not prove to be the pitcher we’ve seen up until now, so there’s not enough data to drastically change his role. That said, the outfield is crowded this year, but Puig and Kemp likely won’t be here in 2020, Schebler is frequently injured, Winker’s health going forward is a concern, Ervin is very possibly a 4th outfielder and Senzel is an infielder. I’m not so sure that it wouldn’t make sense to give Lorenzen enough starts in the outfield to see if that is a viable option. This is a manufactured issue. Lorenzen is entering his age-27 season, so there’s no real time for development. His 34 PAs last season are an entirely meaningless sample size. Hi 92 PAs over his career are also meaningless. Micah Owings has a higher career OPS in twice the PAs. This season, I expect, pitchers will have an actual scouting report on Lorenzen that is two words long: Breaking Balls. If he hits those, we can talk. For now? Lorenzen is a great option as a late-inning emergency hitter/pitcher/OF or an “our starter exploded early” relief pitcher. He’s also, of course, a perfectly solid, but unspectacular reliever. There is no position player on this team who should sacrifice PAs for Lorenzen. Amen, Jason. Your second paragraph says all that needs said about ML. I will counter though, he is a mediocre RP and in his college days, got much more run as a hitter/CF than RP. I will also counter the opposite of your small sample size argument. That he has been so good, that he has earned a larger sample size. 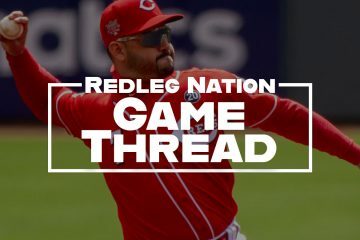 True, the Reds have ample OF this season, but they won’t next year…most likely and the one position of dire need moving forward is a good, all-around CF that can field and hit at or better than average. Sounds more like Lorenzen (in theory, given his college days success in CF) than any other currrent Reds OF. Get him a few starts, even if in B games and let him play the entire game in CF. See how he does in the field and see if he can show plate discipline and contact at the plate. If so, we may have a surprisingly above-average CF… just like that. And if he moves out of pitching, we haven’t lost anything we can’t easily replace with a low $$$ FA. I’d try to trade him to an AL team who is interested in a two-way player in return for a guy that can either hit or pitch better than ML. I love the guy but as this article makes clear he’s only going to be valuable as a 2- or 3-way player in the AL. Agree 100% that what you describe is(are) what his role(s) probably should be. I kinda wonder if he would make a good ‘opener,’ if the Reds are going to go that route. He could start the game, give it a good 2-3 innings, and maybe he gets a plate appearance now and then. ……….. And on days when it’s clear he’s not going to pitch, he can pinch-run or pinch hit. Lorenzen is in his prime years so solve the dilemma by including him in a meaningful trade. He’s not really a good pitcher; so I don’t know why they should be “concerned” about overly protecting his arm any more then any roster filler type guys. If you think he has more potential as a hitter/fielder then he has shown as a pitcher then I say move him to a 4th outfielder type where that’s his primary job and then on days where the bullpen is overworked and you need an arm you can throw him on the mound at that point. If you think he only has shown so well at the plate because he’s a pitcher and getting meatballs then keep him in the bullpen and use him as a pinch hitter every now and again. I think the Reds would have been better served all along to had him a position player. Even in college he pitched rarely (20ip range for the season). He threw hard, got k’s, etc, like most any above average college reliever, but he was used more and better at OF and hitting. I see no reason to be concerned about keeping him in the bullpen. Give him some CF starts in spring, see what happens. He obviously has strength/power, so if he can show solid contact and eye, he could quickly be an above-average CF in short order, exactly the position we need to fill moving forward. He is a pitcher that along with some others never really got more then a cup of coffee to prove he could start or not.Now here we are at whatever year he has been with the club and we still don’t know if he can start or is just another bull pen piece which on most teams changes from year to year.Doubt if he is ever given another chance with the Reds to start now and it is kind of sad.Hopefully as the Reds go forward they won’t let these kind of things happen ever again.Young pitchers are anointed and threw under the bus almost from start to start and the Reds just never have been able to make a decision either way. The Reds have 3 more seasons of team control through arbitration. Defining Lorenzen’s role(s) going forward falls directly in the ‘that’s what DB, DJ and TW were hired to do’ category. 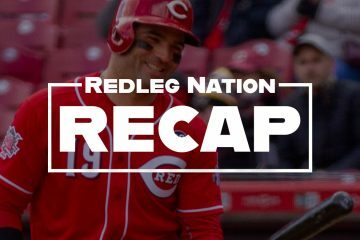 There’s a lot of pieces to assemble on the Reds roster going into the 2019 season and little history to evaluate what to expect from that trio. We knew what to expect from Dusty and Price. I’m very anxious and excited to see how DB and his coaches handle all the pieces under their care. As far as Lorenzen’s situation, I think his most valuable role (for both the player and team) might be as a multi-inning, shut-down, reliever. DB & DJ could have multiple candidates in the bullpen for such roles and that could be a huge weapon. Specifically, if a pinch hitter is needed for the pitcher in a low priority situation, Lorenzen would be available to pinch hit then take the mound and hit for himself if his turn in the order comes up again while he is still pitching or hit for himself any other time he is pitching. Lorenzen would certainly not be a top high-priority pinch hitter. Those roles should fall to the utility OF, probably Schebler and Kemp. With Hamilton on the roster last season, Lorenzen could have seen more extensive use offensively and defensively, but with the current roster, not so much. He’s still probably the best defensive CF option and best pinch runner option on days when he is unavailable to pitch. I can see Lorenzen easily accumulating 130+ PA while the utility OF should get 240+ PA, depending on the roles assigned by DB and his coaches.